The loss of intimacy is one of the most difficult-but also one of the most common-factors in the destruction of any relationship. 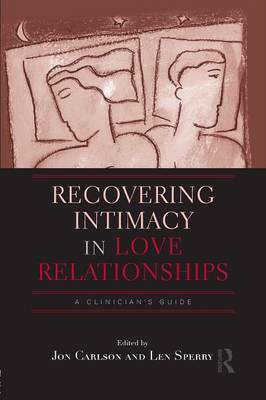 Recovering Intimacy in Love Relationships lays out practical, evidence-based guidelines on which clinicians can depend as they wade through the intense emotions and fragile bonds of couples in crisis. With care and sensitivity, the book's authors analyze the increasingly complex context in which the cycle of intimacy develops, wanes, and recovers. The chapters delve into diverse populations' attitudes toward intimacy and provide an entire section on cultural, gender and religious issues.